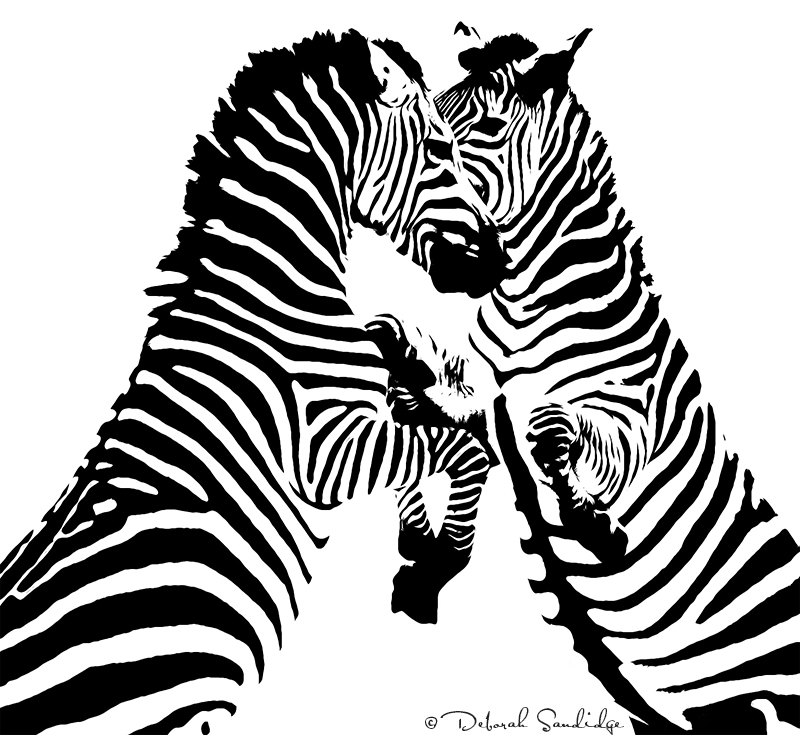 Deborah Sandidge: Zebras, black or white stripes? Zebras, black or white stripes? Kenya and Tanzania both have many wild animals, but my favorites are the are definitely the zebras. Their wild stripes in black and white, bold graphic patterns stand out in the African landscape. Aside from their beauty, they sound completely different that I excepted, more like a bark than a horse sounding neigh. For this image, I thought it would be fun to take a high key approach, accentuating the shapes and stripes to create a high contrast black and white image. Have a great weekend!